Holidays are a time for family, pants with elastic waistbands, and nog-inspired fun. It's also the time for waiting in line, suffering through crowds, and trying to keep your anxiety at bay. Whether you're waiting in line for the Thanksgiving buffet or door-busters at a flash sale, allow us to share some survival tips we've learned from The Big Bang Theory that will ensure you outwit and outlast your fellow holiday celebrators. First up, bring some pals along with you to help the time go by faster. Plus, they hold your spot in line in case you need to run to the bathroom or the nearest snack cart. 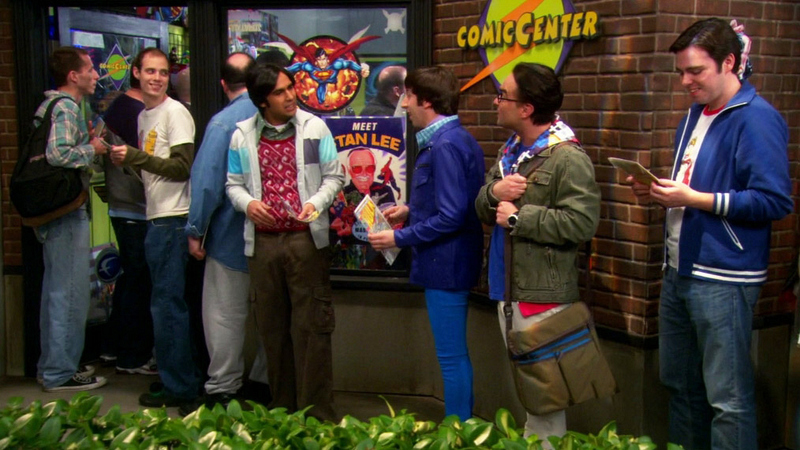 A perfect example of using the buddy system was when Howard (Simon Helberg), Raj (Kunal Nayyar), and Leonard (Johnny Galecki) hit up the comic book store to meet Stan Lee on "The Excelsior Acquisition" (Episode 16, Season 3).